Bud Verfaillie of the Mullica Hill Rotary Club, Bryan MacDonough of the Pine Hill/Gloucester Twp. 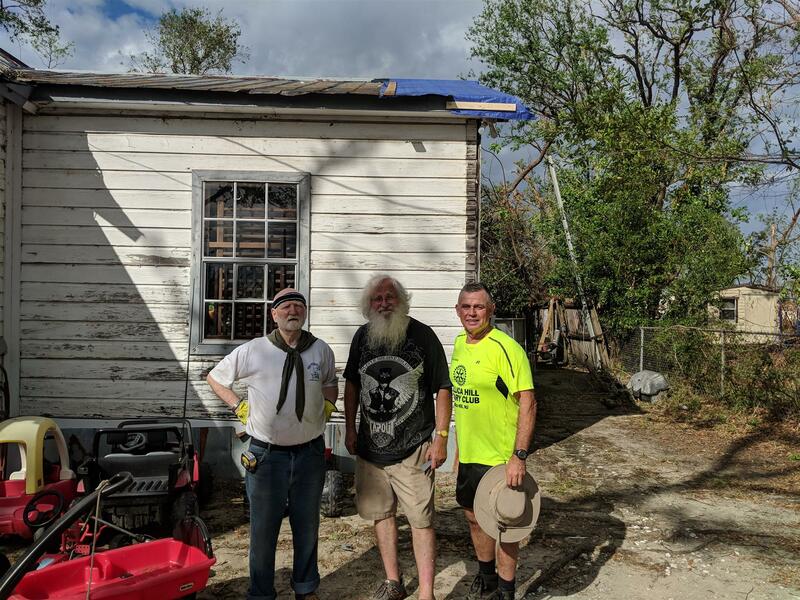 Rotary Club and Frank Trent, a volunteer, represented District 7505 in traveling to Panama City Florida to deliver supplies and help tarp homes. 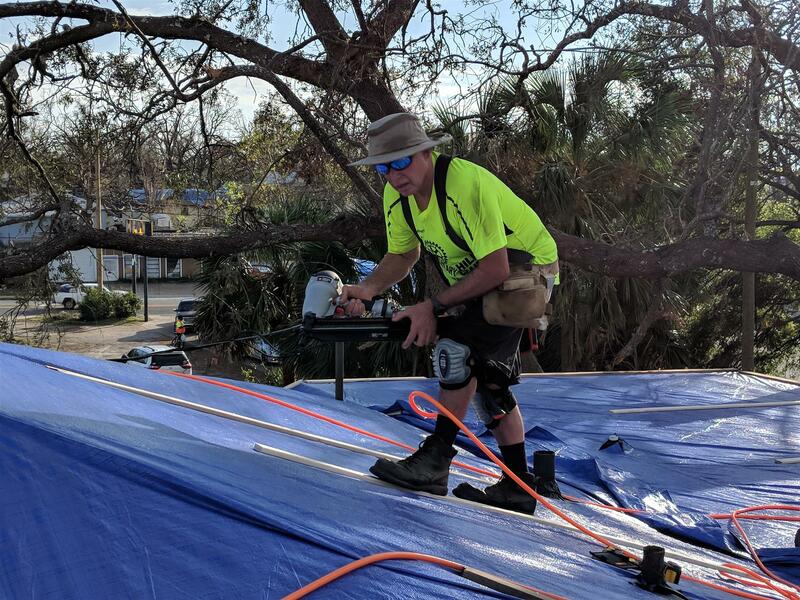 Bud wrote an operations manual for the Rotary District Governor in the Florida Panhandle on how to train and provide logistical support to Rotary Groups going to Florida to assist in tarping homes. This also included a YouTube training video. 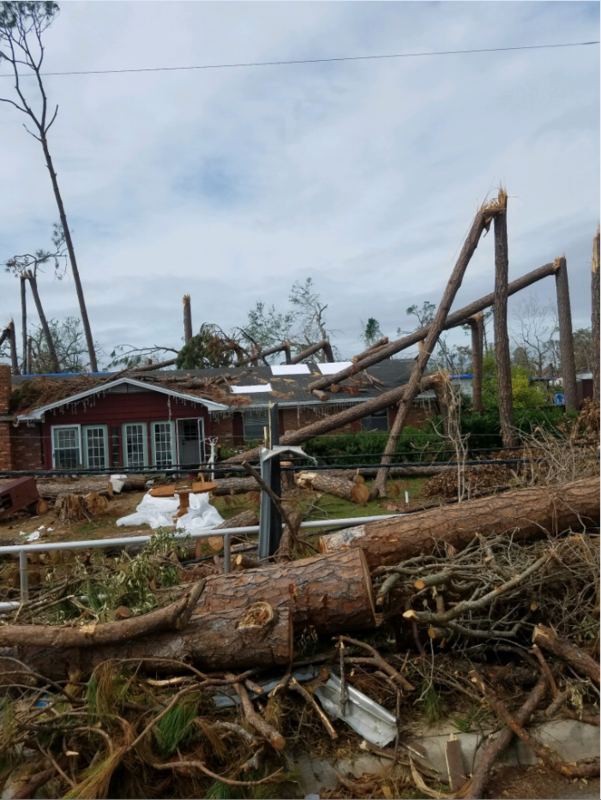 The following items were received or purchased through donations: 26 foot box truck, fuel for the trip, 800- 8’ furring strips, 70 sheets of plywood, 75-2x4’s, generator, air compressor, 2 nail guns, two large tubs of associated hardware, 25 tarps, 40 cases of canned food, 30 bags of rice, and 15 sets of mattresses and box springs. The District received $3,250 of financial donations by Rotary Clubs representing our District. 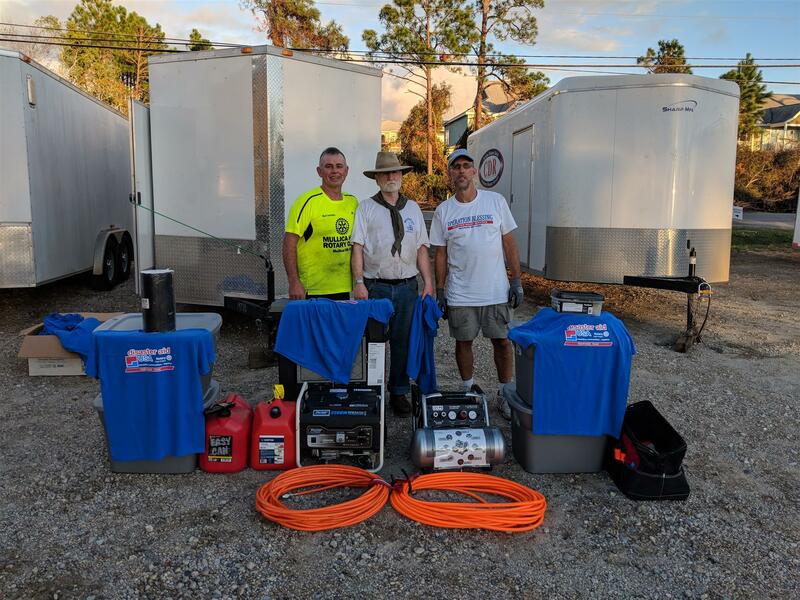 The trio traveled 23 ½ hours covering 1,114 miles from South Jersey to Panama City. 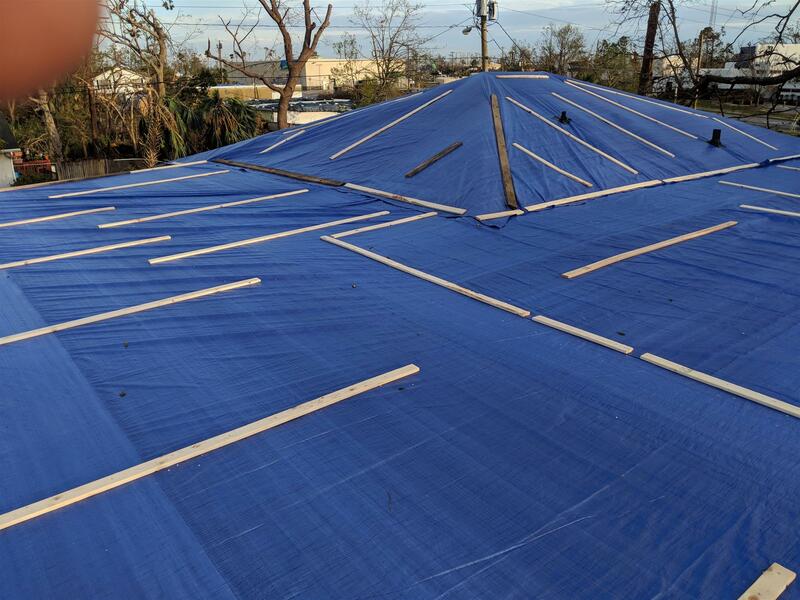 The team tested the procedures established in the Operations Manual as they tarped 8 homes. The group stayed at homes of local Rotarians which was a tremendous help. Other groups interested in tarping would not have to take a large truck, since the necessary supplies have already been delivered. At least five other Rotary Groups as of this date have continued the work started by our District, using some of the assets that were donated. All the excess wood was donated to Operation Blessing, a faith based organization designed to assist in disasters. Those supplies would be available to Rotary Groups wanting to volunteer. All the hard assets (generators, nail guns, etc.) was donated to Disaster Aid USA, which is a Rotary Run organization who take those tools and supplies to disasters in the US to be used by volunteer groups. The trip was physically draining but emotionally satisfyed. The team would like to thank District Governor Bill Donnelly, Melanie Druziako for their support and encouragement and the Rotary Clubs who sent financial support. If you are interested in gathering a volunteer group to go to the Panhandle or would like Bud to show his PowerPoint presentation of the trip to your Club, you can contact him at budv@victoryfiduciary.com or 856-371-1845.